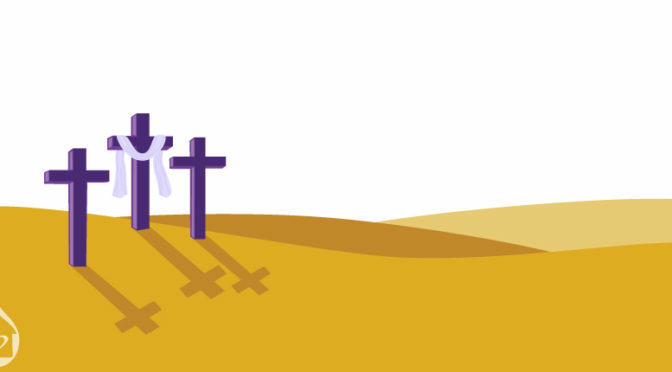 As we approach Ash Wednesday in many Christian traditions we reflect and consider what we can ‘give up’ or make a sacrifice for in recognition of Christ’s 40 days fasting in the desert as told in the new Testament. With this in mind we recommend some Lenten sacrifice for the denizens of the Swamp; perhaps some sacrifice might send them onto a greater journey of redemption. Yes – hard to fathom that, but hope reigns eternal! We suggest the Senator give up his seat in the US Senate. Yes, this is a major sacrifice for the so called maverick, as he defines himself by this job in this late stage of his life. Given his serious health concerns we suggest this sacrifice might lead to more enlightenment, time with family, and perhaps even redemption as he also gives up other sins like revenge, retribution, and being a generally awful republican. One could argue ‘but isn’t the Senate God’s waiting room anyway?’ – but we argue the good Senator has a perfectly good ranch in AZ he can use to watch the sun set. We suggest the proper Lenten sacrifice for this emerging boil on the rump of the House of Representatives would be giving up being in front of TV cameras for several months, which would have the added benefit of allowing him to give up lying – at least in front of TV Cameras – which he seems to do every day. Nancy actually claims to be a practicing Catholic so maybe she has plans for a Lenten sacrifice. Like Senator McCain, Nance should consider giving up her congressional seat to someone more in tune with reality. Time to go Nance! Nancy may also want to consider giving up calling President Trump ‘President Bush’ constantly, and oh why not – maybe Nance can give up some of her millions to the federal treasury which she is so fond of raiding…..
Lurch 2.0 may want to consider giving up his phony baloney investigation. Just a thought. Former Head of the FBI has already given up his job and his dignity via twitter. Maybe the next thing to give up is his citizenship before a grand jury is summoned. Some of us might be ok with him heading to a 3rd world state that doesn’t extradite felons to the US. Ok Roj, you made it through a traumatic season for the NFL, in which your personal biases won out against your business instincts, if indeed you have any. We recommend you give up your job and surrender it to a proper tough guy to lead the NFL; maybe someone like former Steelers coach Bill Cowher, or even Bill Belechick despite our distaste for him – he may be unpleasant and a deflater, but we know he’s a patriot and a NE Patriot. Rog – if ya can’t go, then we recommend you give up being a big dummy and run the NFL in a way the majority of your fans would like to see it run, with respect for our anthem and flag. Michael Moore, Rosie, Whoopie, Harvey, and other bloated liberal gas bags: for you we recommend old school Catholic lent: no cookies, cake, bread, desserts of any kind, snacks to include potato chips, doritos, tortilla chips, etc. We discern your bad attitues and general meanness to be caused by blood sugar spikes related to poor diet and lack of exercise. So – let’s start with putting down the cake and go from there. Mitch McConnell: Mitch its time to give up the 60 vote filibuster rule, only put in place in the 1970’s. Time to rock and roll on @POTUS’ agenda, dude. Hillary: like Leakin Jim, Hillary may want to start exploring real estate in the third world; but for now we recommend Hillary give up telling the world all of the reasons she lost that have nothing to do with her. We ask these non-heroic ‘journalists’ to consider giving up inserting biased and opinion into hard news. We do not expect any of them to comply, but we do ask nonetheless. Peter Strzok and Lisa Page: we ask that you give yourselves up and in fact turn yourselves in and maybe, just maybe in exchange for complete cooperation you’ll get a plea deal. Senator Jeff Flake: he should give up making speeches on the floor of the senate when no one is there or when no one cares what he thinks – which is basically all the time. Rep Frederica ‘Flintstone’ Wilson: obviously Frederica should give up talking and give up the dopey hats – neither of which is likely. @POTUS: Donald, per the doc’s advice, maybe more walking, a bit of weight lifting, and getting down to one Big mac a day would be good. That’s it. Those are all the Lenten thoughts from Black Jack Pershing – please leave a comment with yours! Lots of great comments, BJ, as we enter Lent – these people are haters and actually celebrate when Trump fails whether it is health care; budget etc.